Your voice should be a CALLING CARD, a MARKETING TOOL & your SALES AGENT. If you understand what others need in oral communication, you can make small changes in your delivery that will have a big impact on your bottom line. Public speaking may be one of the scariest things we do in life but if you want to INFLUENCE and PERSUADE others you need to know how to promote yourself and your business. SPEAK your way to SUCCESS! Priscilla has many years of experience in INSPIRING and MOTIVATING others. You too can use your voice to become a LEADER, EFFECTIVE MANAGER or TRAINER. “Talk may be cheap, but your speech should be priceless”. Acting and Speech & Drama coaching – LAMDA examiner, Equity Member, International adjudicator. Bespoke courses to enhance the communication skills of executives and staff. Good oral communication can increase your sales. Courses have been delivered to large and small companies including BT, Capital One, National Grid, Barclays, EY and many more. With the UK being a multicultural society, the ability to communicate well requires greater skill than ever before. It doesn’t matter whether you are on the factory floor, in a call centre, customer facing or managing a team, an understanding of how your voice impacts on your communication can make a huge difference to your effectiveness. Do you make the right impact in the first 7 seconds? Do you understand how to persuade and inform? Can your voice ‘sell’ your products and services? Do you know how to influence others? Are you confident when speaking at meetings? Can you manage your staff effectively? 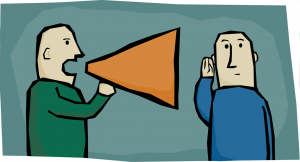 Do you want to be an effective communicator? Is your speech distinct and your message clear? Did you have elocution lessons as a child? Do you have any problems with your voice? Voice coaching can really help you stand out from the crowd. Make sure potential customers like what they hear. My 40 years experience ensures that I can make your voice into an effective sales and marketing tool. March is going to be a busy month with five new business clients, 8 days adjudicating at 3 festivals and 5 days examining. If you have a few moments you might find my latest blog on the power of rhythm in speech, interesting. Here’s a link: blog. "it's been fantastic working with Priscilla. Being an experienced presenter within a large corporate business environment means that i've had a lot of past practice and also presentation training - however, working with Priscilla 1-2-1 has really allowed me to find my areas for improvement and work on them - my results really improved but it's still practice, practice, practice..."